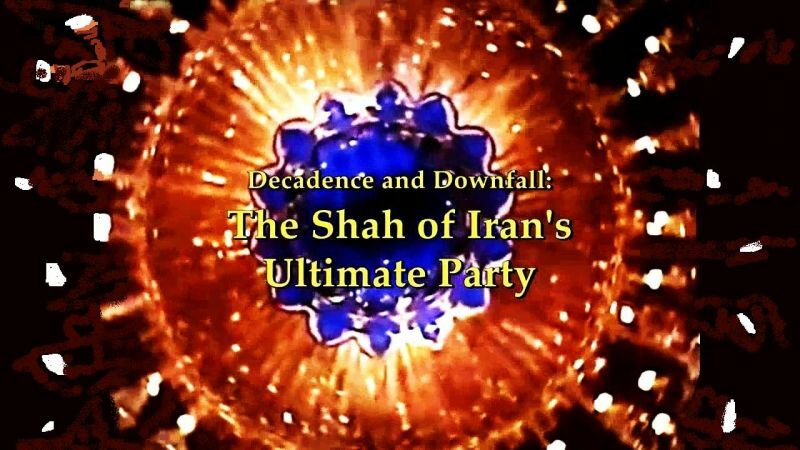 Decadence and Downfall: The Shah of Iran's Ultimate Party In 1971, the Shah of Iran, the self-proclaimed 'king of kings', celebrated 2,500 years of the Persian monarchy by throwing the greatest party in history. Money was no object - a lavish tent city, using 37km of silk, was erected in a specially created oasis. The world's top restaurant at the time, Maxim's, closed its doors for two weeks to cater the event, a five-course banquet served to over sixty of the world's kings, queens and presidents, and washed down with some of the rarest wines known to man. Over a decadent five-day period, guests were treated to a pageant of thousands of soldiers dressed in ancient Persian costume, a 'son et lumiere' at the foot of Darius the Great's temple, and the opening of the Azadi Tower in Tehran, designed to honour the Shah himself. Every party leaves a few hangovers. This one left a country reeling, never to recover. It crystallised the opposition, led by the Ayatollah Khomeini. More than any other event, this party marked the break between the king of kings and the people of Iran he reigned over. This page was last modified 11:36, 15 March 2019.